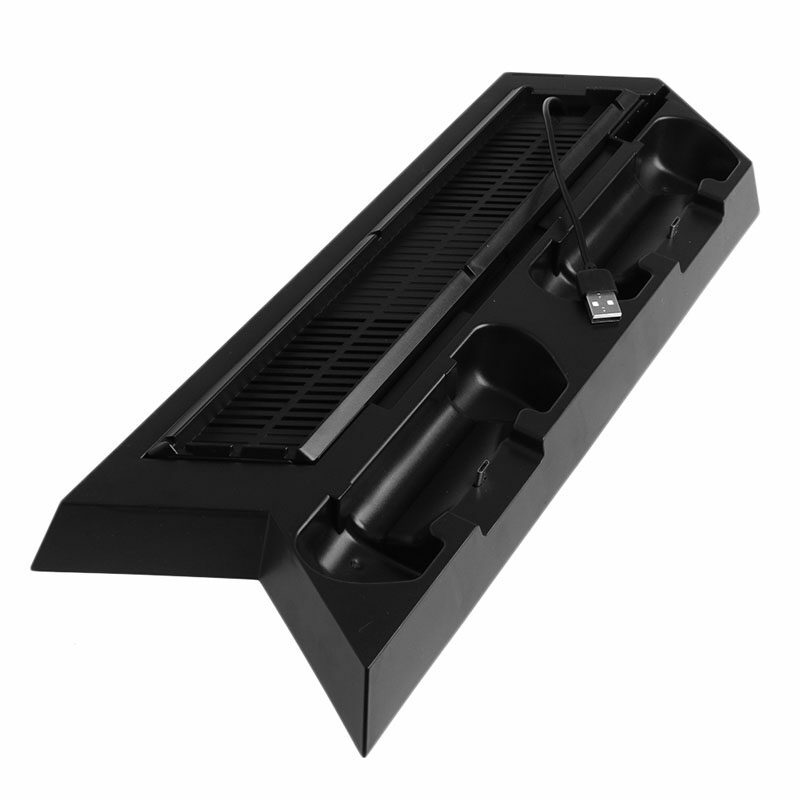 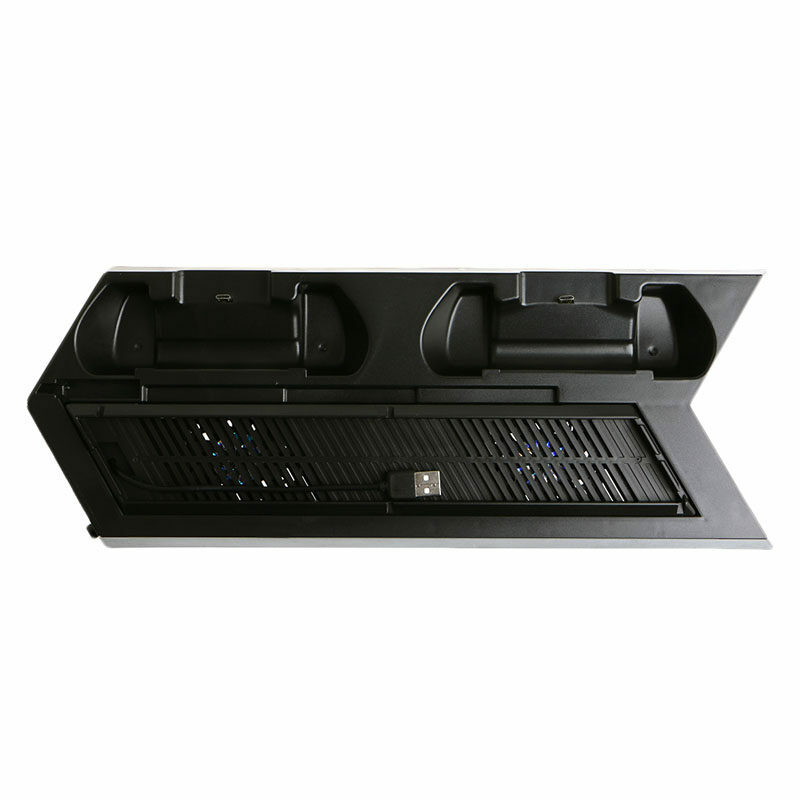 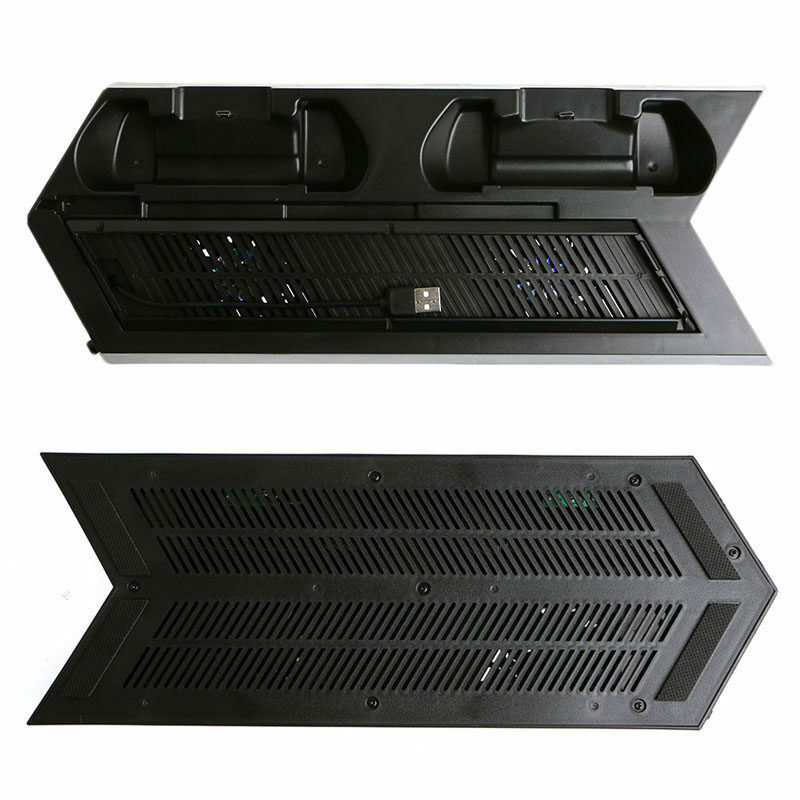 Dual Cooler Fans - 2 built in fans to disperse heat from your console, keep your Playstation 4 cool and calm with the vertical cooling stand. 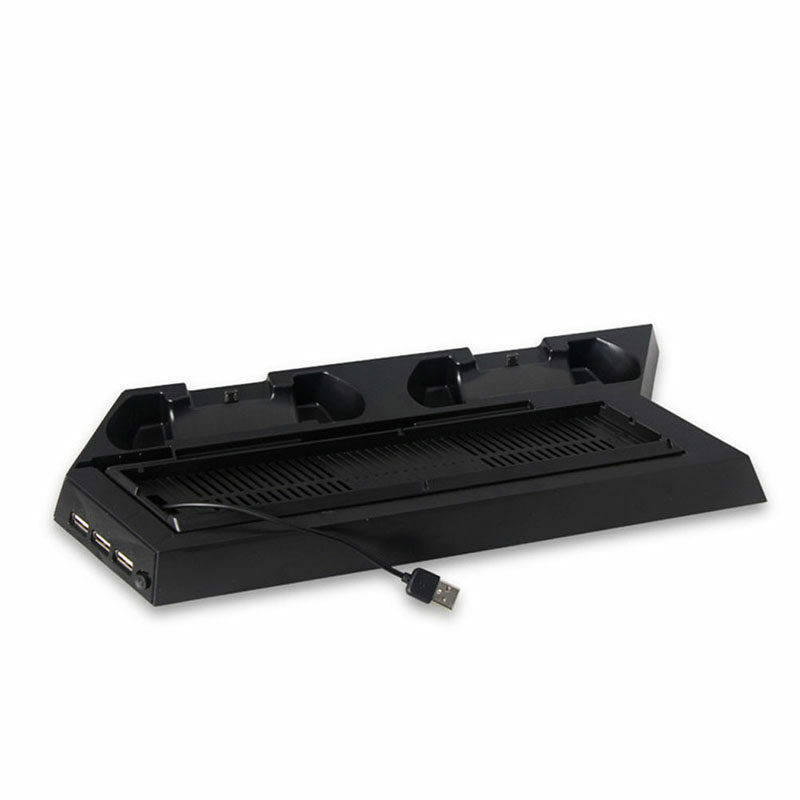 No need to worry about your ps4 overheating and burning your table from long hours of game play. 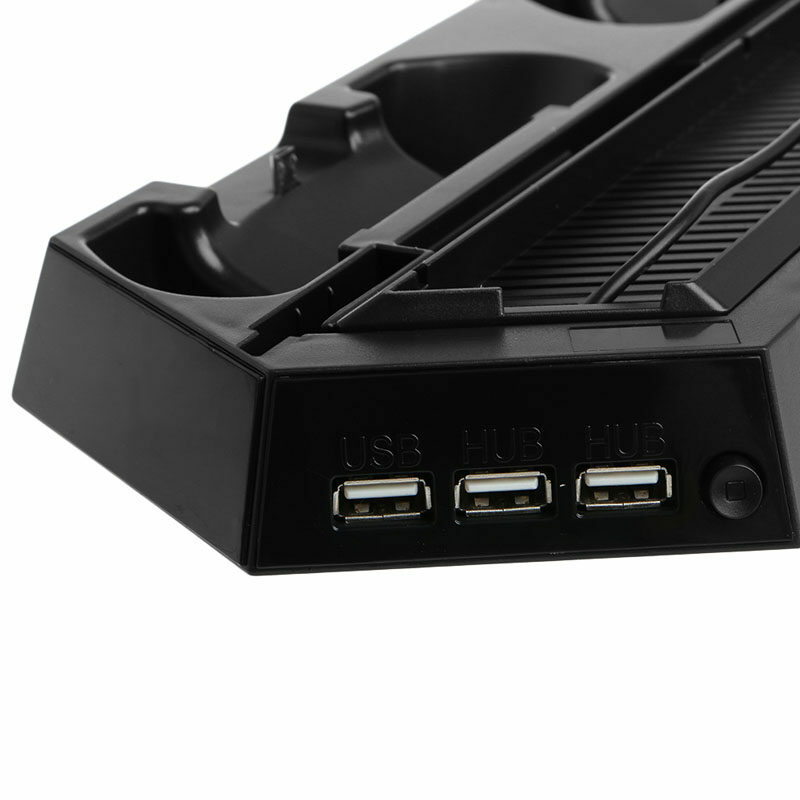 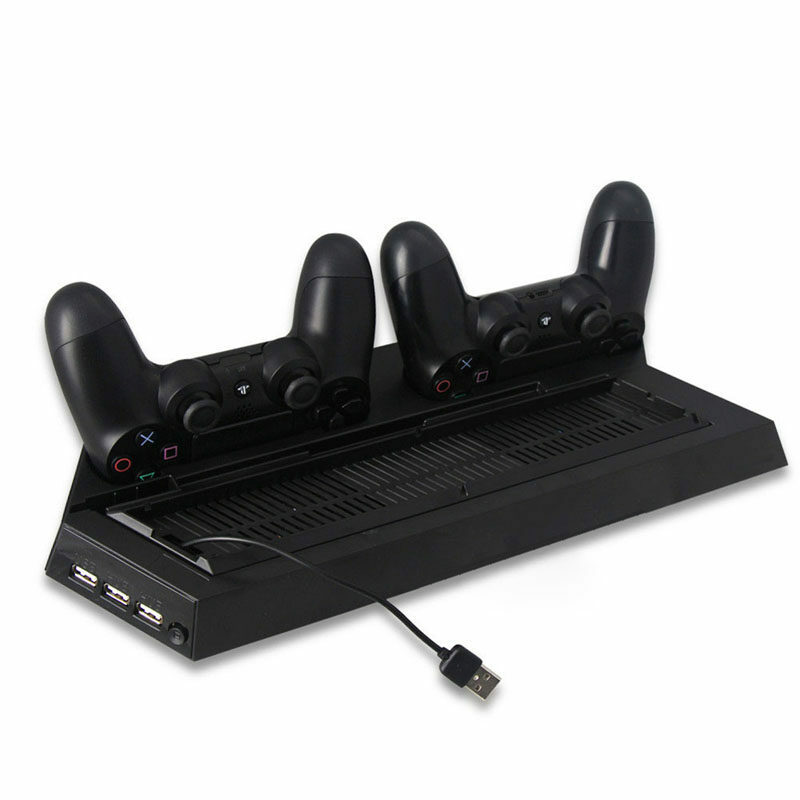 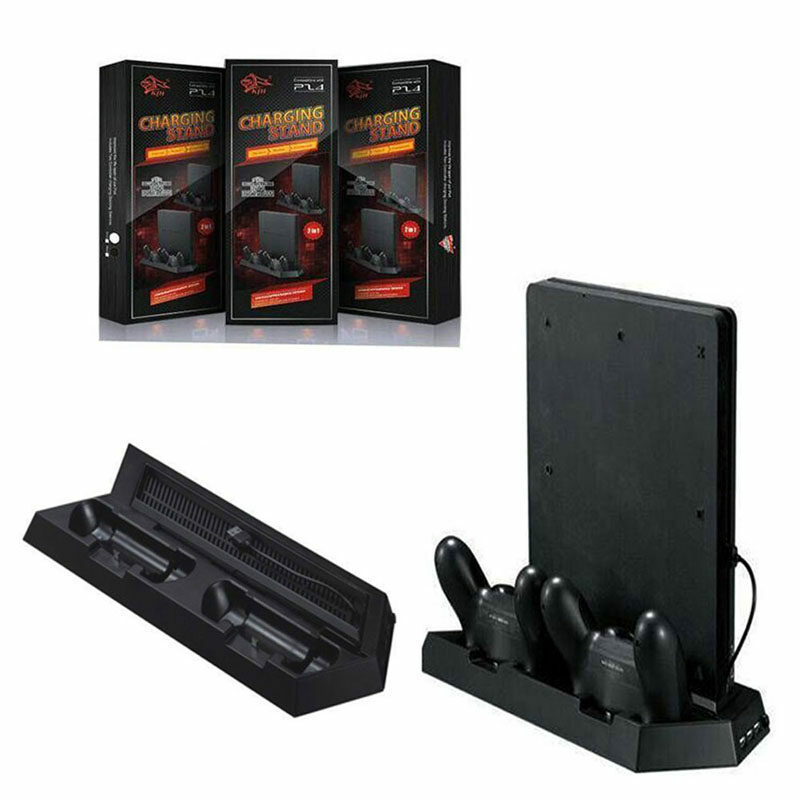 Dual Charging Station - Charging station with 2 charger ports to charge both of your PS4 shock controllers simultaneously , saving your time when need to charge the controllers. 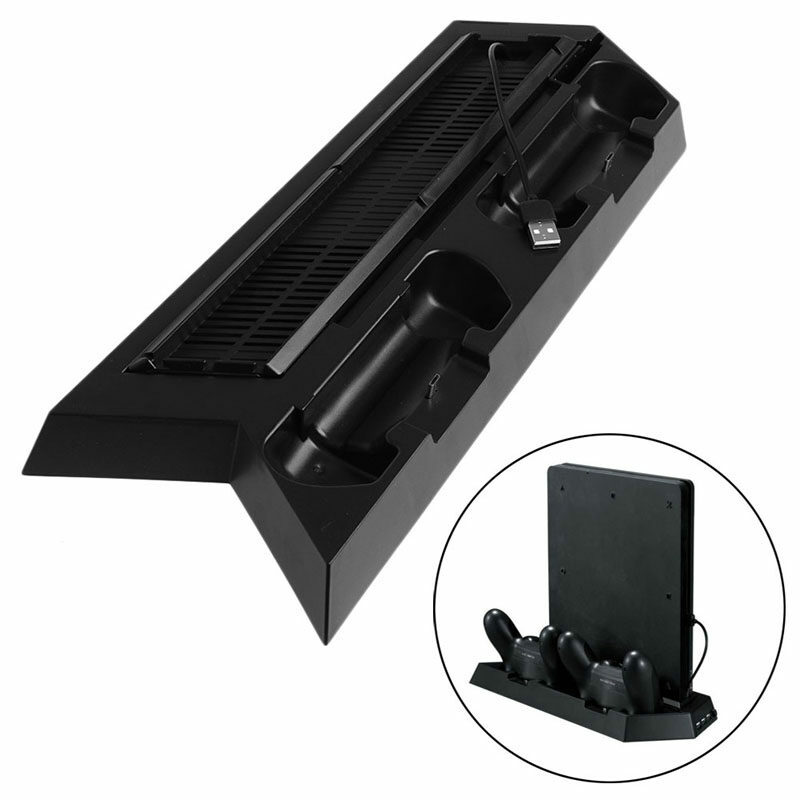 Space Saving Design - Normally your ps4 sits horizontal taking up space within your room. 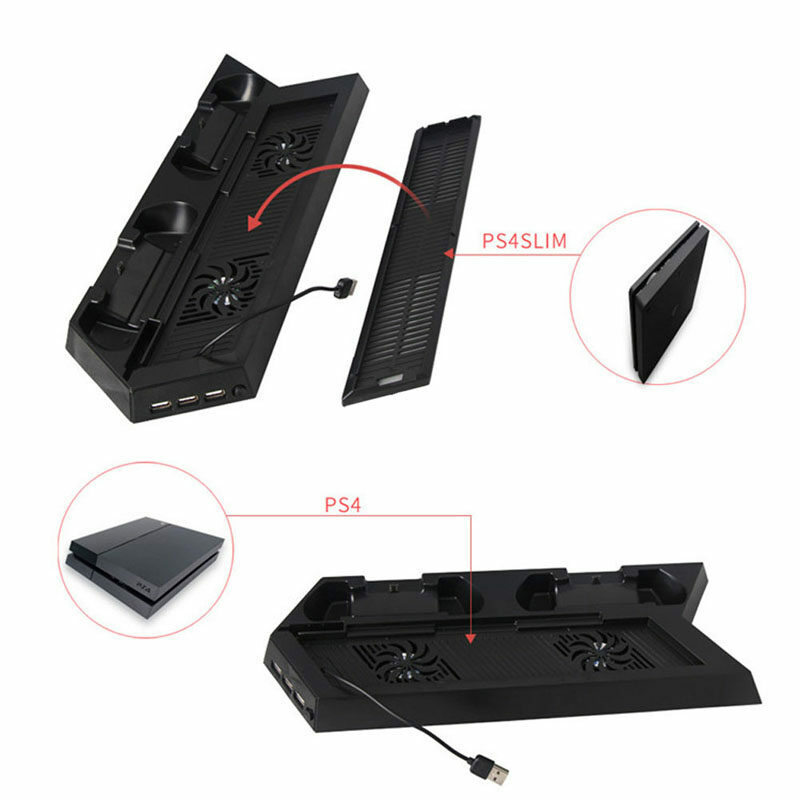 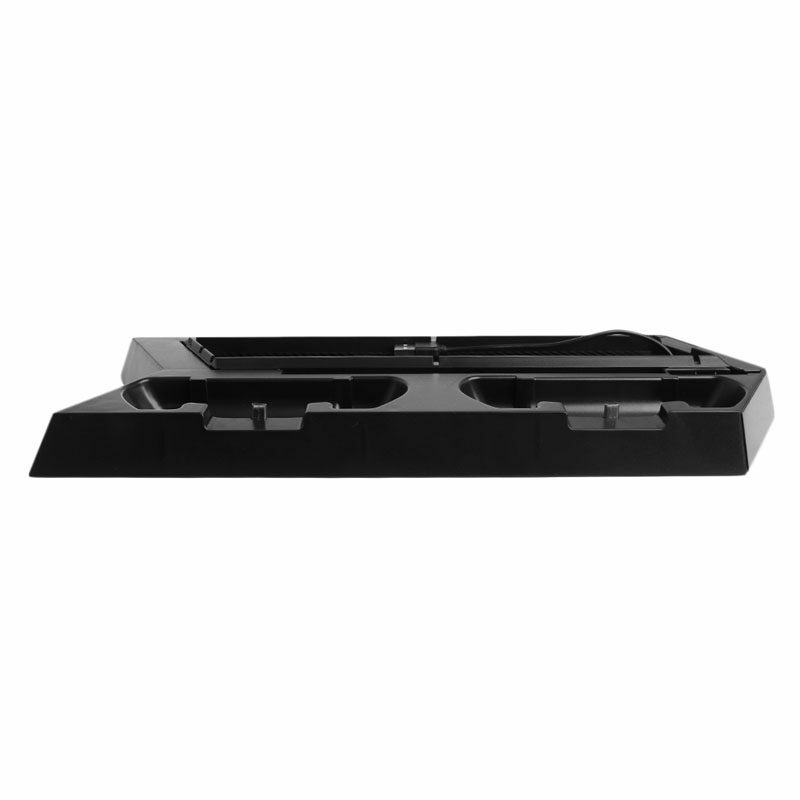 However, with this vertical stand, your ps4 now stands vertically, saving you lots of room space while cooling your ps4 at the same time. 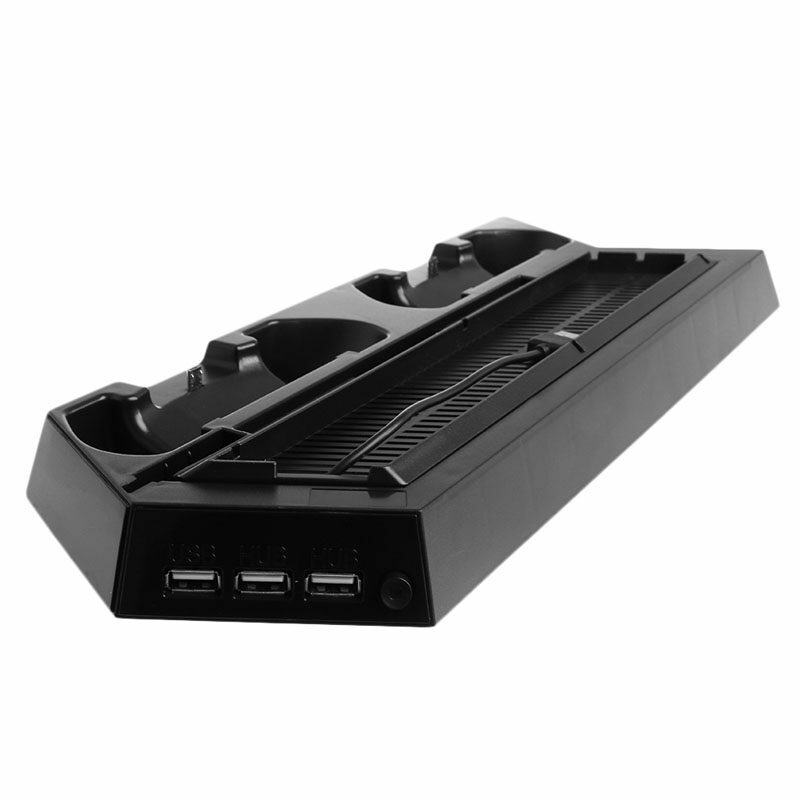 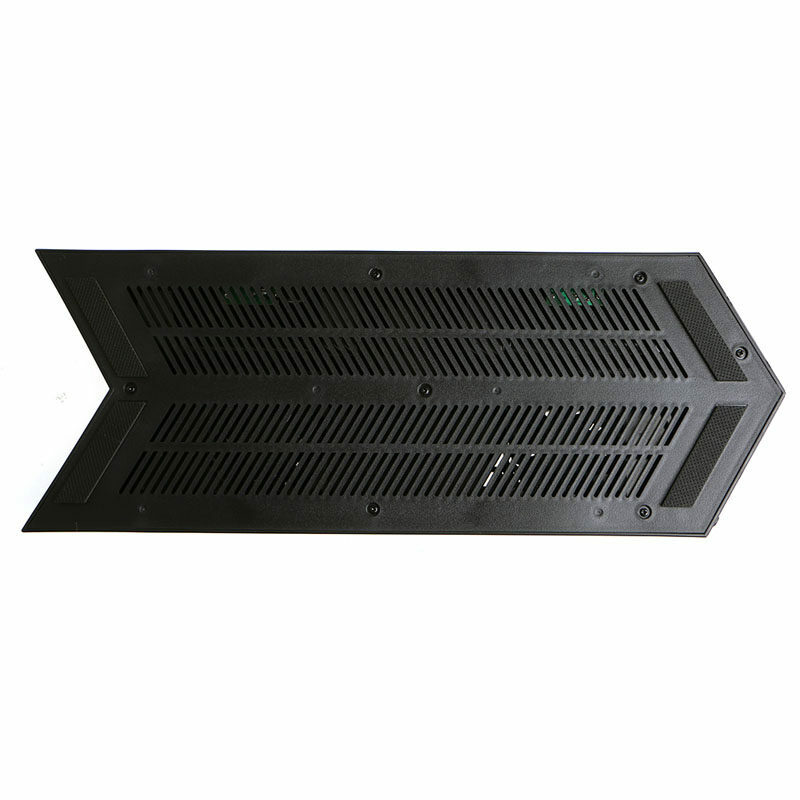 Multifunctional: 2 HUB and 1 USB ports with powerful output for data transferring and charging; pls note that this cooling fan is fit for PS4 or PS4 Slim.